SM City Masinag Branch has Filipino experts trained by our Korean Hairstylists. The branch also specializes in Digital Perm, Rebond and Stylish Haircut for men and women. We are pride ourselves on providing the highest level of salon experience and dedication when making your precious hair more beautiful. Tony and Jackey aspires better services to our clients to meet their satisfaction. 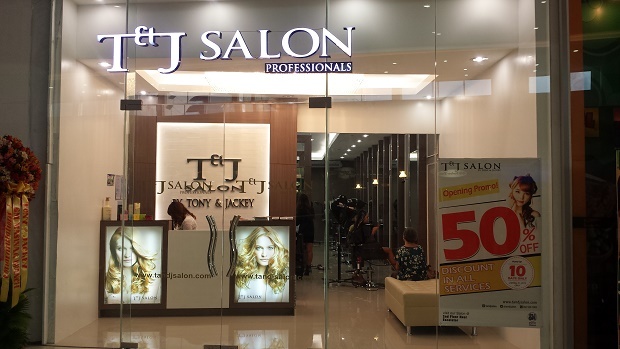 T&J Salon Professionals by Tony & Jackey is located at the 2nd Floor, near the elevator (beside Mang Inasal). Salon hours is from 10:00 AM to 9:00 PM. Be updated on Tony & Jackey promos and updates, visit www.tnjsalon.com.